There has been much promoted regarding the "supposed" evolution of humans from the apes and chimpanzees. Yet, as more and more studies come out regarding comparison of the human DNA and other properties within these groups of non-humans it becomes increasingly evident that there are significant differences at the genome and every other level including differences at the behavioral level. 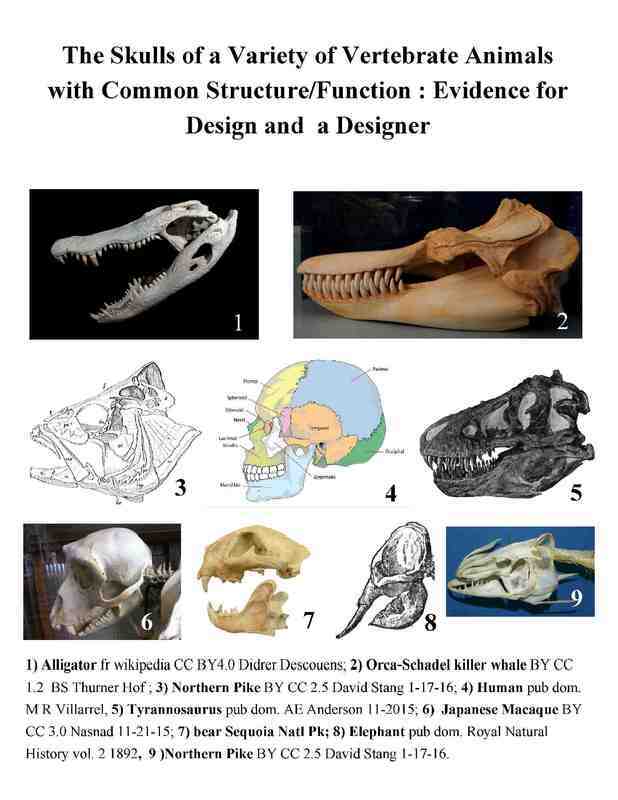 From a design perspective one can compare structures and their functions and even behaviors between animal groups. But from a Creationist perspective this does not have anything to with a common genetic ancestry only a common designer. Of course this last statement is a philosophic one just as the assumed evolutionary association by others is philosophic. See section on the Interfacing of Religion, Philosophy, and Science for a further discussion regarding assumptions in developing one's views of past events of the origins of life and the material universe. ﻿Australopithcus and Homo habilis-pre-human ancestors? no evolutionary ancestors for the genus Homo, which includes H. erectus, H.
Australopithecus and Homo habilis-pre-human ancestors? This article is a book review of a book titled: Homology, Genes, and Evolutionary Innovation by Gunter Wagner. Walter Remine reviews the book and demonstrates how the information contained in the book actually supports the concepts of design rather than evolutionary development. Though Wagner did not intend it, his material is exceedingly encouraging to creationists, and to Message Theory in particular. I discuss this next. Message Theory claims life-forms were reasonably designed to accomplish three goals simultaneously. The biological designs are: (1) for survival; (2) to look like the product of one designer (rather than the product of multiple designers acting independently); and also (3) to resist macroevolutionary explanations (all of them, not just Darwin’s). Wagner’s material confirms 2 and 3 (and does not dispute 1). For example, the existence of shared genes—essential to the body plans of diverse animals—helps unify life forms as the product of one designer, while those same genes are a radical problem for macro-evolution. All three design goals (1, 2, and 3) are accomplished simultaneously. That fits Message Theory well..."
"A review of the extensive literature covering the more popular theories of the evolution of birds was completed. Of the numerous theories proposed, all were found to be problematic, and for this reason most are now rejected by evolutionists. The most popular current theory, the evolution of birds from dinosaurs, was briefly reviewed, and also found to suffer from major problems, some of which were discussed. 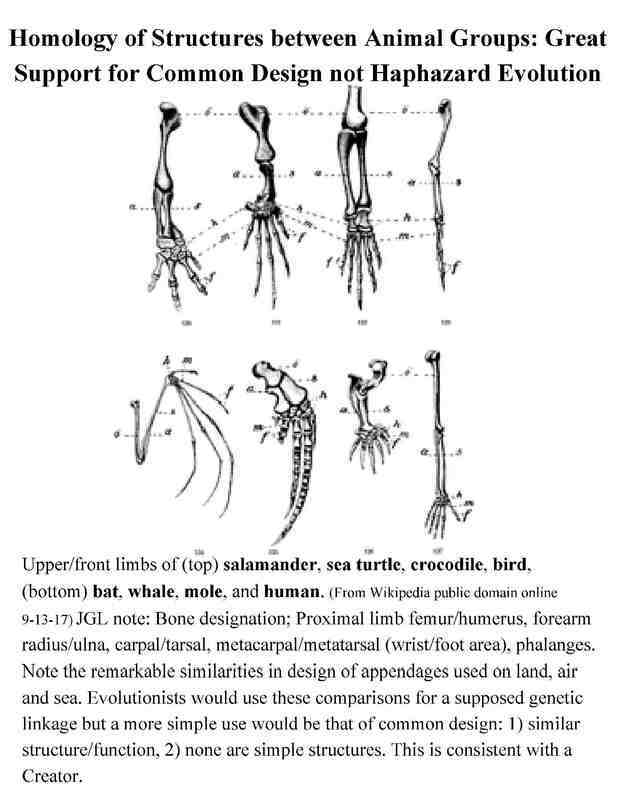 The major problem is the differences between birds and both reptiles and mammals, and the fossil record has not been of much help in solving this evolutionary problem. Nor have genetic or biochemical comparisons." See link below for an extensive review.